One of the larger beneficiaries of last week’s news flow was the rising price of oil, buoyed by bullish US crude inventory data and rising concerns about the withdrawal of Iranian oil from the market. Saturday marked 10 years since the collapse of Lehman Brothers, the largest bankruptcy case in US history and a historic point in the global financial crisis. It should therefore be of little comfort that almost exactly on the tenth anniversary, a Norwegian trader accrued more than €100 million in losses, eating significantly into the clearing house’s capital buffer and risked destabilising a key European exchange. Fortunately there are few parallels between 10 years ago and today in terms of what has been happening in the markets over the last week as we have seen positive returns across equities (excluding Latin America)! Asset class returns in sterling and local currency are below; among the most notable moves outside of equities was the price of oil which has benefited from a choppy geopolitical environment and tailwind of bullish data releases. One of the larger beneficiaries of last week’s news flow was the rising price of oil, buoyed by bullish US crude inventory data and rising concerns about the withdrawal of Iranian oil from the market. The latter comes ahead of the reintroduction of harsh US sanctions in November. The immediate focus of oil traders early last week was the potential disruptive effect that Hurricane Florence, a Category 4 storm, would have upon making landfall on the US East Coast. 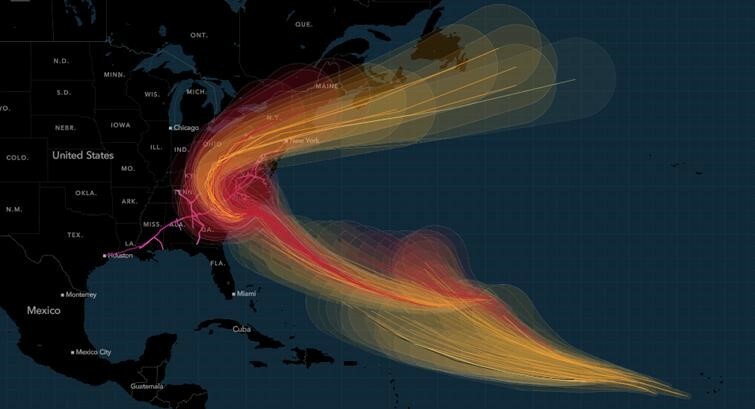 Though no oil production facilities (onshore or offshore) or refineries were in the forecasted path of the hurricane, there was some concern around two major pipelines that run through the Carolinas which are key to supplying refined oil products to the Northeast of the US. 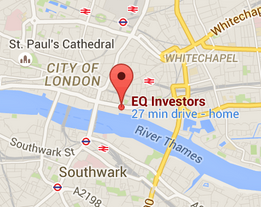 Fortunately there proved to be relatively little disruption, thereby easing the immediate price pressure. However, this extreme weather event coincided with a larger than expected drawdown in US crude inventories which acted to push the price of oil higher; while analysts were expecting a modest increase in stocks of 140,000 barrels, official data released on Tuesday evening revealed a decrease of over 8.6 million barrels. This positive move for oil bulls has occurred during a hotting-up in the geopolitical backdrop, regarding US sanctions on Iranian oil output. Many market participants are now discussing the positive price momentum, and are citing the fact that any further disruptions to supply could push the oil price even higher. Following the collapse in the price oil from over $100/barrel to under $40 in 2014/2015, oil companies aggressively cut both investment spending and operating costs to remain solvent. Some companies were so aggressive in cost cutting that they are now able to breakeven at between $40-45 per barrel, thus the subsequent price rallies from the multi-decade lows have been a boon to the industry. Equity markets have been beneficiaries of this, particularly those with a heavy weighting to the sector such as the UK’s FTSE 100. 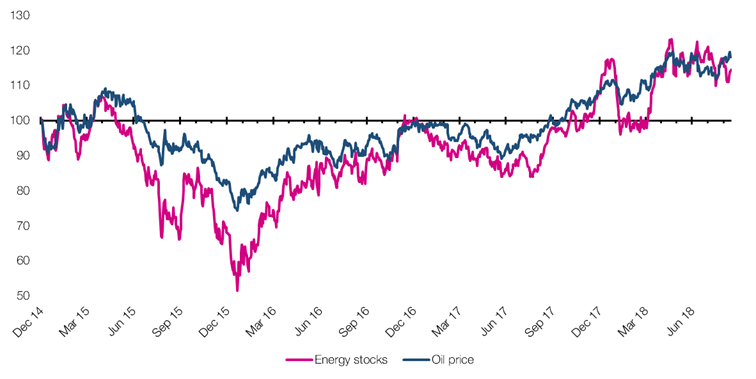 Energy prices remain an important component in how inflation is calculated around the world, so sustained higher prices may indeed translate through to headline inflation figures in the short to medium-term. Any impact is likely to be transitory as rising prices will encourage many producers (among them, US shale) to ramp up production and increase the supply to the market. Therefore, central bankers are likely to be restrained with regards to tightening monetary policy. However, the story isn’t over as the most significant event for oil this year (so far) is yet to come – investors will be closely watching how the market reacts to Iranian oil being shunned by the US. STAT OF THE WEEK: 25% – the percentage of China’s population that will be over 65 by 2030 (South China Morning Post). Data correct as at 14/09/2018.